In this article, I explain how you can record your face and screen at the same time so that you can create engaging and fun videos. Note that there are several apps that can do this. This tutorial show you can create screencast using the built-in Mac apps and hardware. There are many advantages to creating screen videos. For instance, nowadays, teachers are recording your lessons so that their students can watch them anytime. 3-Select View > Float on top so that your camera window will be on top of any other application anywhere on your screen. 4-Now you can resize the camera window. You can move this camera view anywhere you want (left, right, top, bottom etc). You can change some settings by clicking the arrow next to the Record button. 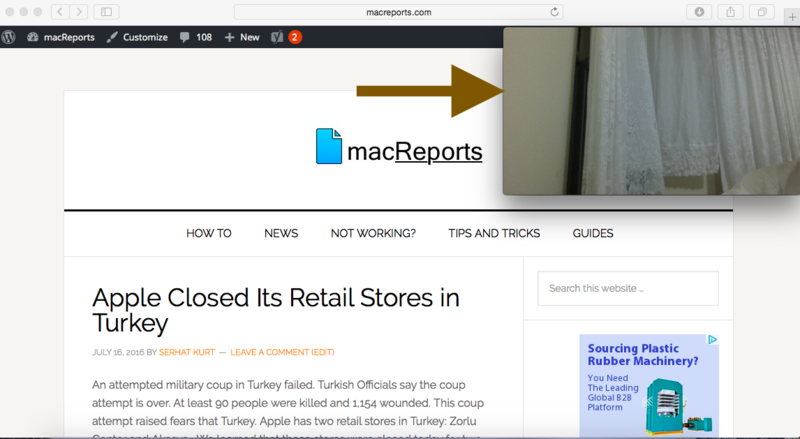 You can record your full screen or part of your Mac screen. You may want to arrange your screen (where will your camera be etc?) before you start your recording. 6-When you are ready to start recording, click the red record button. The you have two options: (a) if you want to record your entire screen, click anywhere on your screen to start the actual recording (b) or you may drag to select an area. 7-Now you are recording your screen and your camera view (e.g. your face). When you done recording you may press the Command-Control-Esc keys. After you done, you may also edit your video using Quicktime. For instance, you may go to QuickTime > Edit > Trim to remove the unwanted parts of your video. This is perfect for what I was looking for. I’d also recommend Acethinker Free Screen Recorder which I have used for many years. It supports recording system and microphone or both. I always take it to record videos and upload to YouTube so that I can share with friends. It works so well that I haven’t found some defects. Thank you so much! It helped me doing my school project!! Great, thanks! I want to record my Keynote slide presentation and also have my face on screen. Is there a way to do that? When I rehearse or record the slideshow, it automatically goes full screen and takes over even when my quicktime window is supposed to be floating on top. I’m doing the same… The only solution I could come up with was to export my keynote as a PDF, then open it in Preview. You have to view the PDF in window mode, if you go fullscreen you get the same problem as in Keynote. When I did the screen recording I dragged a box so it only shows the PDF pages, not the rest of my screen, or the preview tools etc. Then I could keep my video floating on top, it’s a pity you can’t make the video smaller though, I think the smallest size is still too big and it gets in the way. Can you control the pixel width/height? You are AWESOME!!! I just spend a few days trying to find a suitable program to do this and didn’t even think of trying what you suggested here—but it works perfectly!! I LOVE using quicktime so this is just perfect. Hi- Great explanation of the process. I tried it and it worked well except for the audio of my voice is off from the PIP video window I put at the bottom of my screen. Any ideas how to fix that? I had the same issue which I resolved by selecting “Internal Microphone” from the options hidden in the drop-down menu (click the little arrow beside the Record button. I am doing all of the steps you mentioned, yet, when I finish recording and watch the video, I can’t hear myself talking. Is there a way to fix this? THANK YOU, Serhat. This is EXACTLY what I was looking for. And to think the solution was so simple. Great job. I can’t believe it’s so hard to find the solution on Google. I’m glad I kept looking, Thanks!! Thank you. I like the simplicity and clarity of your instructions. However…one hour later and I was still trying to figure out how to get the screen recording the video of myself PLUS audio! Turns out that’s separate. Who knew? Anyway, I’m giving up for today because I still don’t know how to playback the screen recording with the audio and I’m exhausted. When you select to screen record, next to the record button is a little down pointing arrow, click it and it will show you your microphone options. Select internal microphone and you should be good to go. Thank you. Great Work, is there a way to remove the background of the self video? Hello, unfortunately I see the video controls on camera preview. Any way of turning this off?